André Roberfroid, AMI Global Ambassador began the day's proceedings with both a challenge and an affirmation. By using the metaphor of the rain we have experienced, he challenged dedicated Montessorians to take courage, be brave and leave their classrooms. The affirmation was to those Assembly members whose social projects are touching lives in the very ways Maria Montessori envisaged as she developed Montessori education. André spoke of the concepts of Freedom, Respect and Solidarity and Lynne Lawrence, AMI Executive Director enlarged on what those concepts mean in the Montessori context. Valuable open discussion captured individuals' thoughts and feelings on the three concepts. Members then had an opportunity to quietly read to consolidate some of the thinking that has been generated by the speakers. 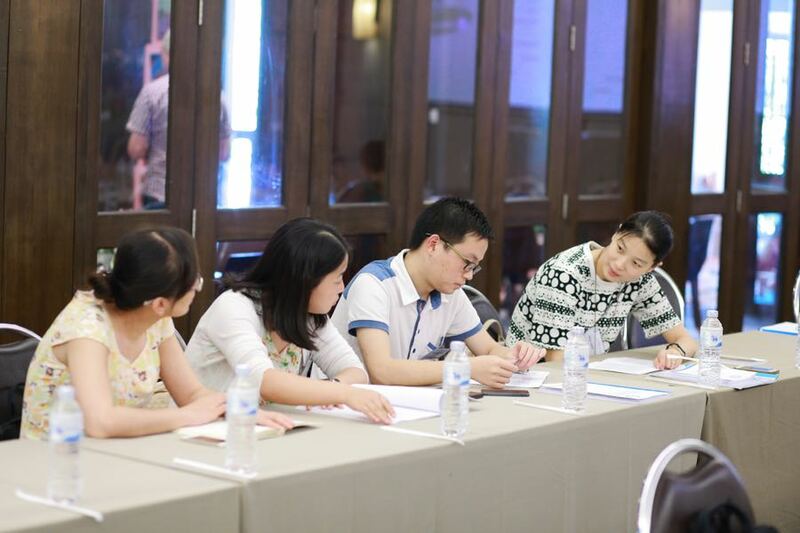 In the afternoon, groups were formed to discuss and tease out what would be the essential components of a framework for action in the field of human development and this was shared with the whole gathering.